We all dream of travelling around the globe to visit iconic places which can widen our horizons. The Philippines, for example, houses some of the most beautiful places to visit. With the country’s richness in resources and its colorful history, the Philippines has become a destination to every wanderer, traveler, soul-searchers and dreamers of the world. Being a Filipino, one should be proud of the beauty the Philippines holds. Travelling in your own country can prepare you from your future travels outside. To give you a taste of the spots you can visit outside the country, here are your 9 “outside-the-country” destinations without leaving the Philippines. Greece – Fortune Island, Nasugbu. Craving for Greece? A two to three hour ride from Metro Manila to Batangas, a 10 to 20 minute tricycle ride to the coast of Nasugbu, and one exciting boat ride to the island, will transport you to a scenic view of the southeastern Europe. Located just 15 kilometers off the coast of Nasugbu, Fortune Island is an abandoned luxury hotel with crumbling structures and a beautiful island that offers not only adventure but relaxation as well. The island’s main attraction is their own Acropolis which is on a rocky cliff overlooking the sea. People would visit the island to capture the view and the island’s Acropolis. The best way to enjoy Fortune Island is to spend a night under the starry skies with your squad and bonfire to warm you up! Maldives – El Nido Palawan. Through air or by sea, you will be able to experience the El Nido adventure. 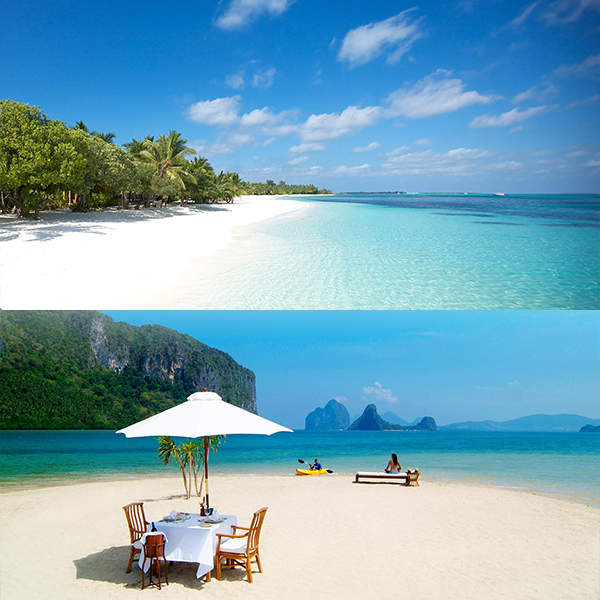 Not only does El Nido offers a world-class view like Maldives but also a bunch of activities that you can have fun! Hop from island to island and be dazzle at the wonder each island holds. Swim with different colors and shapes of little fishes. If you are lucky, you might also be swimming with some turtles here, a fever (group of stingrays) there, and tiny little lobsters. If you are looking for a place to stay, there are a lot of hotels and rooms available, but we suggest you camp out to really feel the vibe of the adventure the island has to offer. Italy -Up Town, McKinley. 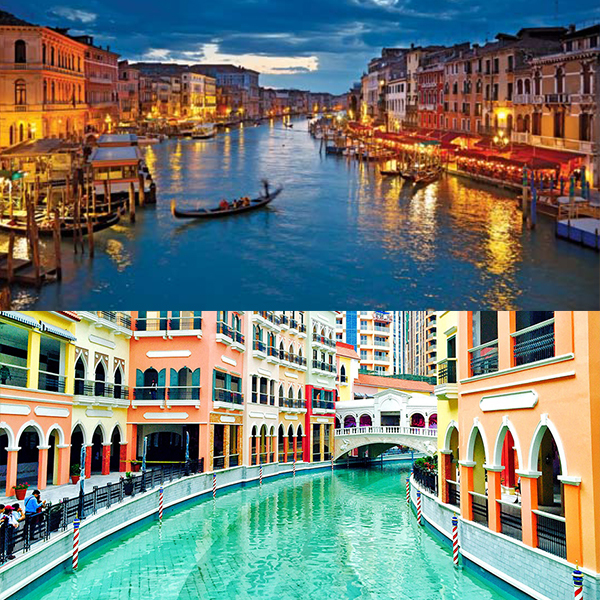 You don’t have to go out of Metro Manila to experience Venice because a replica of Venice Grand Canal is waiting for you. Experience the gondola ride while strolling along the mall. I heard their choice of music is superb. Tired of walking around? There are a lot of establishments in the area where you can grab something to eat. Bring the whole barkada and click as many selfies, groupies and creative shots as you can! New Zealand – Batanes. Taking you all the way up north is the Philippines’ New Zealand – Batanes! Enjoy the lush green pastures, breathtaking hills, stunning cliffs, and a landscape that would take you to another country while staying in PH. No words can describe the beauty this magnificent island holds. We guarantee you a Sound of Music vibe once you see the scenic sights. There are various ways to enjoy your Batanes trip. One of the best way to go around Batanes is by car. Travel packages include car rentals with drivers to drive you along the island. This is a better that commuting all through-out your trip because it is hassle-free and you can stop at sights you might find interesting (PLENTY of it!). Ride a bike through the hills and feel the fresh wind brush your skin. You can also visit traditional Ivatan houses or an old village known as Sabtang. There are also a lighthouse, World War II memorials, old churches you can go to and marvel as well. And the best thing about it, the sumptuous Batanes cuisine that would leave you simply mouth-watering. Bahamas – Boracay, Aklan. If you are looking for place where you can hit the waves with a world-class view, the head to Boracay. 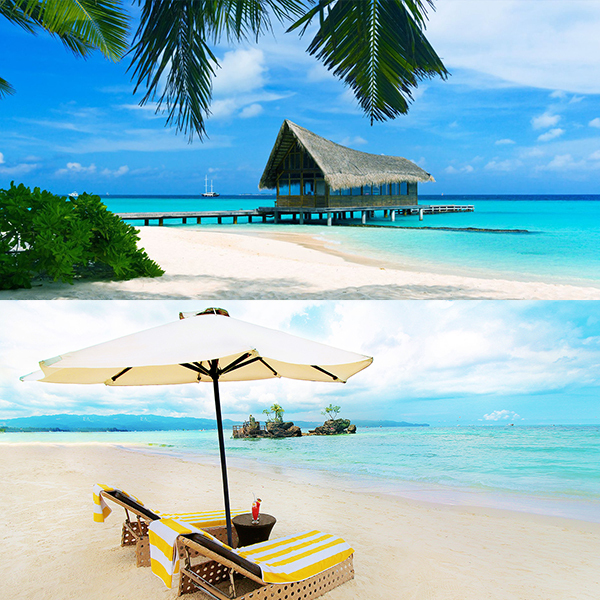 This island surrounded by sparkling white sand resembles the majestic beauty of Bahamas. Whether it is land, water or by air, Boracay will offer you something fun and exciting so you could enjoy your stay in the island. Stay away from the beach for a moment and go around the highways of Bora on an ATV, or have a whole body massage to relax after one day of fun-filled activities. Snorkel with the fishes or learn how to swim like a mermaid at the Philippines Mermaid Swimming Academy. If you feel that earth and water activities does not suite you, you can try kite flying or parasailing and feel the beach breeze. See? Where better to go than go Bora right? China – Binondo, Manila. No, you will not find a Great Wall of China hidden somewhere in the busy streets of Binondo but you will enjoy a stroll around the oldest Chinatown in the world. Binondo does not only serve as a home for many Chinese settlers in the Philippines but also holds a lot of memories of the Philippines’ during the Spanish era. Binondo is also mentioned in Jose Rizal’s books, Noli Me Tangere and El Filibusterismo. This local version of Chinatown will give you a glimpse and taste of what China is. Before setting out for China, head off to Binondo first. Brazil – Cebu. 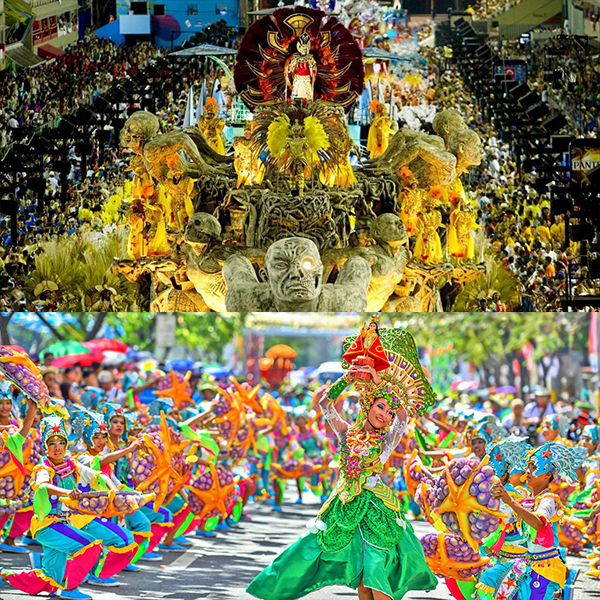 The colorful and fun festivals in Brazil can also be experienced in Cebu. One of the country’s most festive city is Cebu with various festivals that show the Cebuano culture and heritage. These festivities include colorful parades and traditional dances which is one of the highlights of their festivals. If you missed out all the fun their famous Sinulog festival brings, don’t you worry because Cebu has more to offer you. Spain – Vigan, Ilocos Sur. If what you seek is something more “Spanish-y” in smell and vibe, then Vigan is the place for you. The cobblestone streets, dark-wood mansions and clattering ofkalesas would bring you to a whole new world. There are a lot of things you could do in Vigan. Try foodtripping around Vigan, climb a bell tower, visit ancestral homes, river cruising, and witness abel weavers in action. Never forget to stroll down Calle Criologo riding a kalesa and marvel at the beauty of Spanish period ancestral homes. 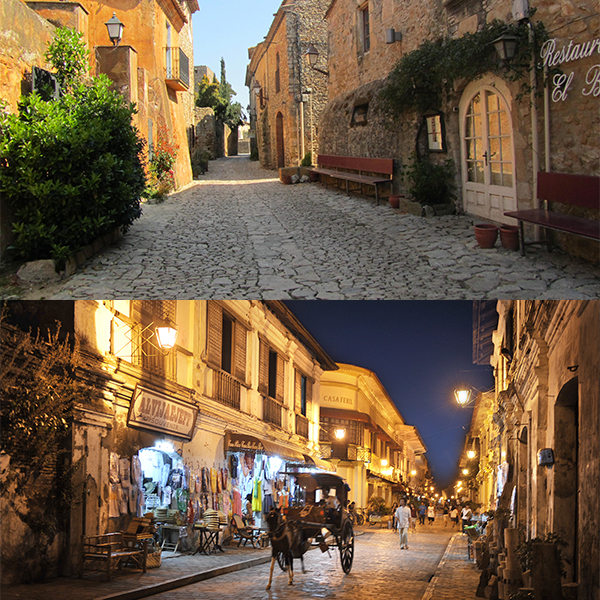 Vigan will take you to Spain in no time! Netherlands – Sirao Flower Farm, Cebu. Last on our destinations is a flower farm as beautiful as that of Netherlands. The Sirao Flower Garden adds up to the hidden beauty Cebu has. These Celosia flowers, originally from Netherlands, is the official flower of the Sinulog. It’s yellow and red colors resembles flames which looks really wonderful in photos. The popularity of this flower farm has reached a lot of people that it is dubbed as the “mini-Amsterdam” of Cebu. If you have plans to visit here, research which months these flowers bloom. We heard that it is best to go on a January because they harvest the flowers for All Souls Day and Sinulog. Hire a habal-habal in JY Square Mall, Lahug and enjoy the trip going to that blooming garden. And don’t forget to get some souvenirs for you and your friends! See? Why go out of the country when you can travel around and visit the beauty of the Philippines first? Love your own because it is really more fun in the Philippines.